"The object of life is impossible; one cuts out fabrication and creates reality. A mirror is held to the back of the head and one's hand has to move the opposite way from what was intended." 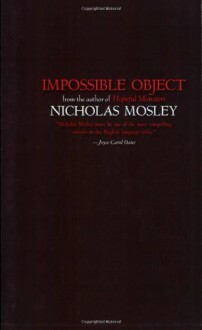 In these closing lines from Impossible Object, one has embodied both Nicholas Mosley's subject of love and imagination, as well as his unmatched lyric style. In eight carefully connected stories that are joined by introspective interludes on related subjects, the author pursues the notion, through the lives of a couple seen by different narrators, that "those who like unhappy ends can have them, and those who don't will have to look for them." The impossible object of the title, "the triangle that can exist in two dimensions but not in three," is a controlling symbol for the impossibility of realizing the good life unless one recognizes the impossibility of attaining it: only then can it be possible to realize it, through a kind of renunciation, especially in "a sophisticated, corrupt, chaotic world." Such a provocative theme, comic or tragic by turns, was met by critics in 1968 as brilliant, insightful, intense, and moving, but especially original.